Help Adam act like a ghost in order to scare everyone! Good luck! Solve all the puzzles and help Adam reach his beloved Eve. Enjoy this wonderful adventure! Solve the puzzles in this game in order to take Adam to his beloved Eve. Join a wonderful adventure! Enjoy this third installment! Solve the puzzles in this game in order to take Adam to his beloved Eve. Join a wonderful adventure! Enjoy this 4th installment! Solve the puzzles in this game so that Adam can find Eve. Enjoy a unique adventure! Help Adam in this cold adventure... Sleepwalking around the North Pole! Solve all sorts of puzzles and find a way back home! Enjoy the fifth installment to this unique game -- find the hidden 'PLAY' button! Put your wits to test in 20 thrilling puzzles to do so. Can you do it? Enjoy the 6th installment of this unique game! Look for the hidden 'Play' button -- solve up to 20 thrilling puzzles putting your wits to test! Can you find all the solutions? Help the King find the right key, get his cake back and escape from this place! Solve all the puzzles and have fun! Enjoy this 5th installment! 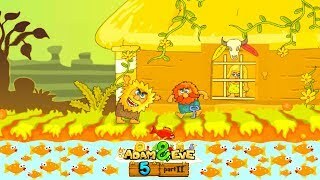 Plan and solve as many puzzles as you can in this unique game so that Adam can reach his beloved Eve. Discover this new adventure!